January 15, 2019 — Last November we introduced you to the new singer and songwriter Lucky Daye, who released perhaps the best produced soul/R&B EP of 2018. As an artist, the man has it all: a real ear for melody, a compelling, textured and elastic voice, and the ability to craft beautifully-layered tracks with roots firmly planted in classic R&B but branches that extend out into the future. Lucky is already back in action, this time with an exclusive performance of his song “Roll Some Mo” for VEVO, where he makes clear that he absolutely brings it live. Enjoy. 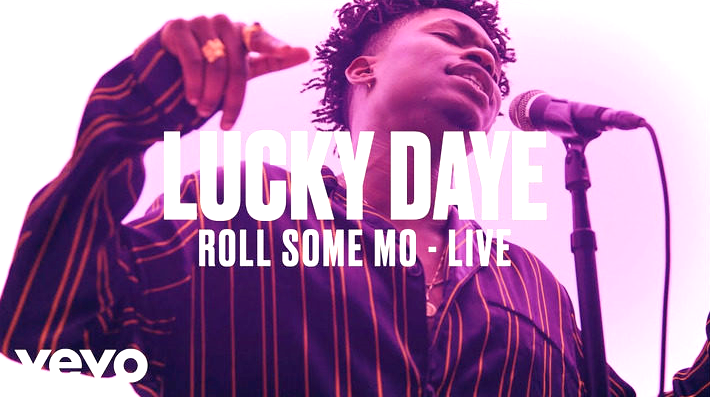 First Listen: Lucky Daye Wants to "Roll Some Mo"